EE and Three have confirmed they are working together on bringing better 4G connectivity to rural areas. The mobile operators have long had a partnership after one part of the EE joint venture, T-Mobile, signed a network-sharing deal with Three in 2007, enabling shared infrastructure and customers to roam on to each other’s networks. This network share has continued following the T-Mobile and Orange merger to create EE back in 2010. This latest agreement will not be on such a grand scale, with no sharing of spectrum or antennae, and will not include investment in addition to the companies' pre-existing 4G budgets. However, it will enable them to share the costs of backhaul and civil engineering for 4G sites in the most rural 20% of the UK where the return on investment is likely to be much lower. When it comes to the switch on of 4G services, it will be up to each individual company when they do it and which equipment they use – EE deploys Huawei networking gear, while Three has a deal with Samsung. We contacted Three for a statement but it had not returned our request at the time of publication. EE was the first to market with 4G services after Ofcom allowed it to repurpose its existing spectrum allocation in 2012 to use it for the faster data offerings. 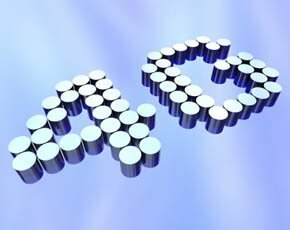 Three, however, was the last of the major mobile operators to begin its roll-out and only started offering 4G in December 2013.